Keeping up with what has already become a tradition, Crónica will present another edition of “Natal dos Experimentais”. 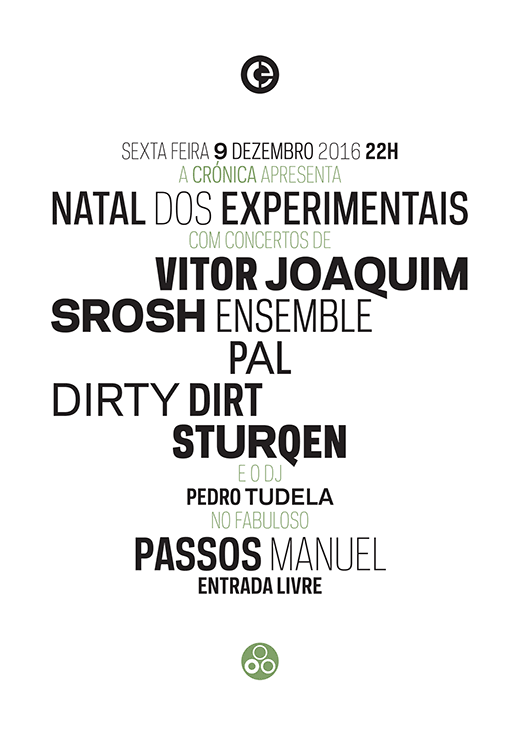 This year’s event will include performances by Vitor Joaquim, the Srosh Ensemble, Pal, Dirty Dirt, and Sturqen. Pedro Tudela will close the evening with a DJ set. Friday, December 9, from 22h onwards in Passos Manuel. As usual, all is free, and everyone’s welcome!